Two cabinet photographs by Portland, Maine, studios: one of Eva (Whitney) McLaughlin and daughter Mamie by the Colpitts & Company studio; and the other of Stella McLaughlin at about 6 months old by the Lewis studio. 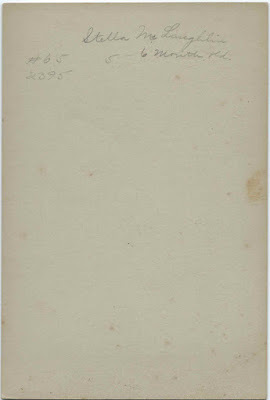 The McLaughlin family lived at Cumberland, Maine. According to a memorial on Find a Grave, Eva M. Whitney was born December 11, 1868 at Cumberland, Maine, the daughter of Benjamin F. Whitney and Jane (Varney) Whitney. 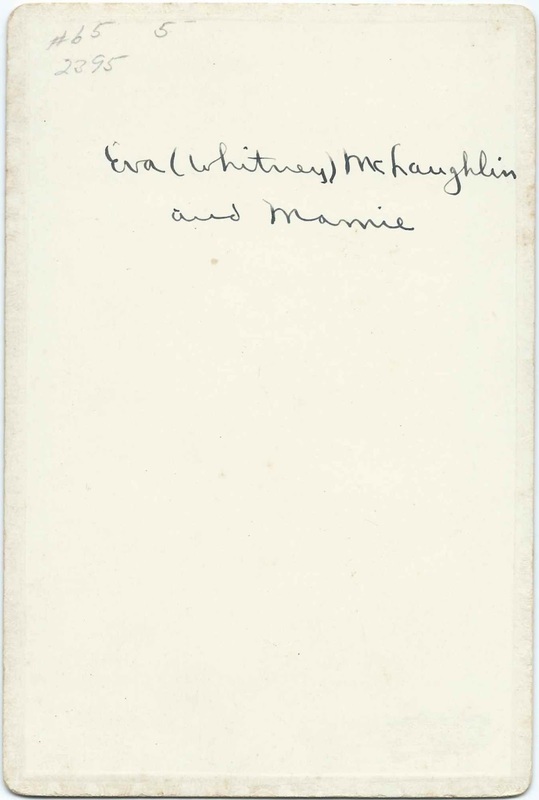 On August 6, 1893 at Cumberland, Maine, Eva married Thaddeus McLaughlin, son of, I believe, Laughlin McLaughlin and Mary Jane (Coffron/Cochran) McLaughlin. Thaddeus was born at St. David in Charlotte County, New Brunswick, on May 11, 1864, and, like many others, apparently followed his railway employment to Maine. 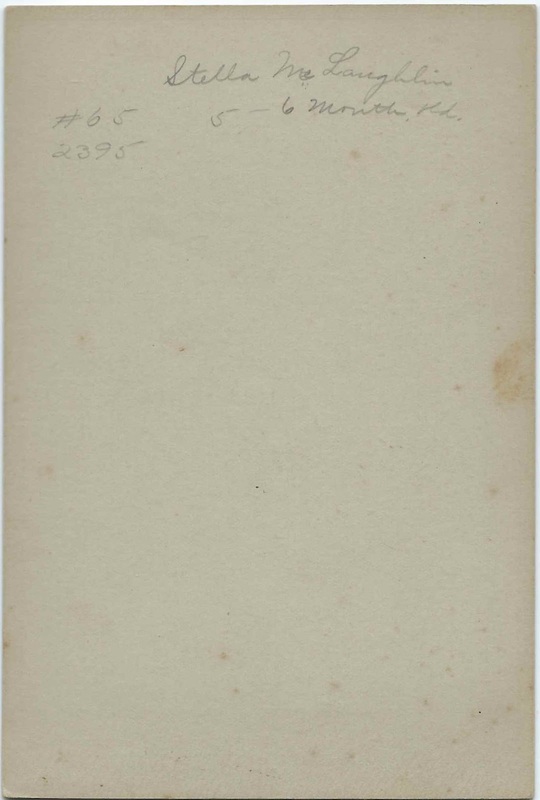 At the time of their marriage, Thaddeus was working as a railway hand and Eva was a housekeeper. 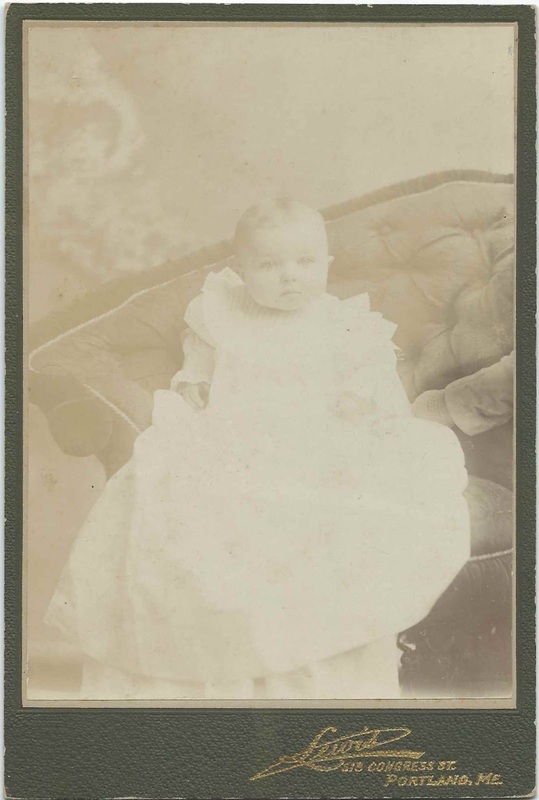 Stella McLaughlin, pictured below at between 5 and 6 months, was born to Eva (Whitney) McLaughlin and Thaddeus McLaughlin on January 30, 1899 at Cumberland, Maine. 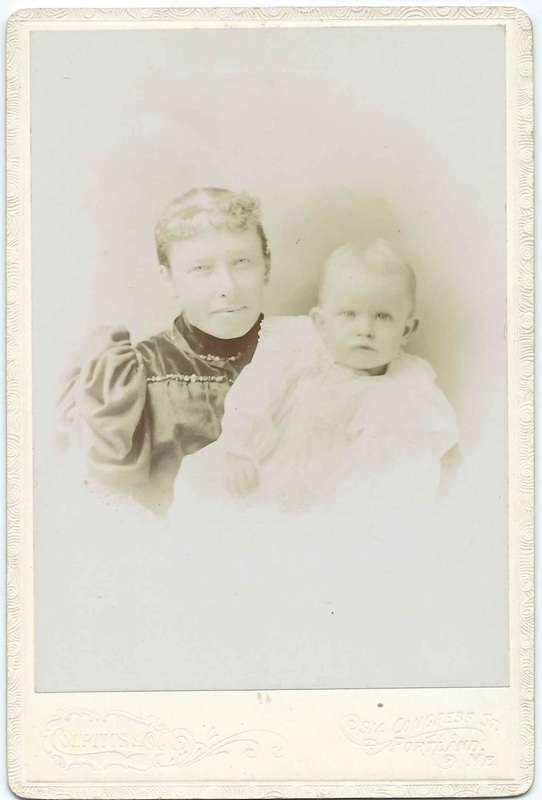 Mamie McLaughlin, pictured at the top of this post with her mother Eva, may have been the unnamed female child born to Eva and Thaddeus on July 27, 1908 at Cumberland, Maine. 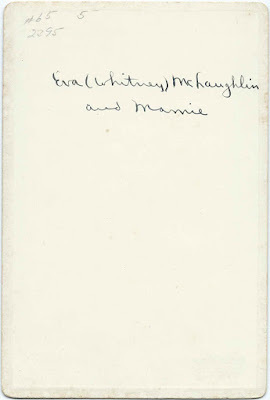 Eva (Whitney) McLaughlin died in 1946; Thaddeus had predeceased her in 1935. They're buried, along with Eva's parents and daughter Stella (McLaughlin) Bragg in the Moss Side Cemetery at Cumberland Center, Maine.